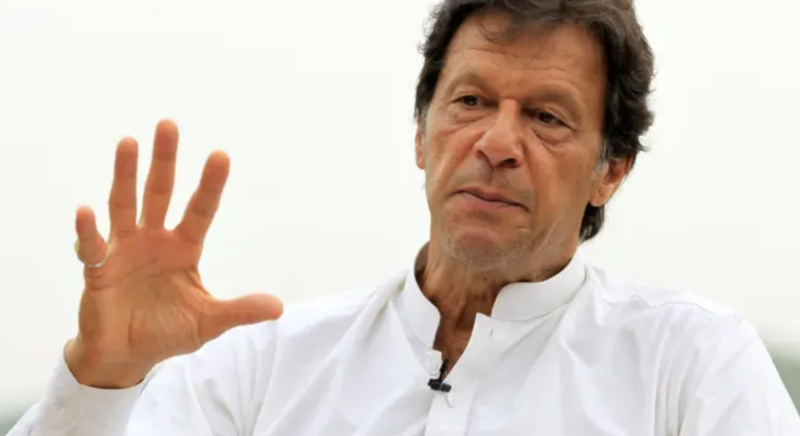 "I’m still apprehensive before the elections, I feel that something could happen," Mr Khan said at his office in Islamabad in the wake of the most serious conflict between the nuclear-armed countries in decades. Khan conceded that Pakistan must do everything in its power to crush Islamist terror cells like Jaish-e-Mohammad, but he insisted that the Pakistani state doesn't have any links to the group, and that Modi was had acted aggressively by launching a missile strike on Pakistani soil in retaliation for the deadly terror attack (India said the missile strike targeted a JeM training camp, though Pakistan has disputed this). The "new Pakistan" has been cracking down on terrorists, he insisted. Moreover, how could Indian blame Pakistan for the attack when the young man who carried out the deadly Feb. 14 suicide bombing that killed more than 40 Indian paramilitary soldiers was Ian Indian Kashmiri who was purportedly radicalized after an encounter with India's security services? Perhaps Modi's own heavy-handed crackdown on Muslims was to blame for the attack, Modi suggested. "There’s Jaish-e-Mohammad in India, the boy who blew himself up, the 19-year-old boy, was a Kashmiri-Indian boy," said Mr Khan. "His parents said he was radicalised by some abuse by the security force. So it was an Indian boy, Indian operation, Indian car, Indian explosive. Why was Pakistan blamed?" Indian television channels have also ratcheted up the nationalist rhetoric, prompting Islamabad to accuse the ruling Bharatiya Janata party of exploiting the conflict to win over voters ahead of polls in April. “When Pulwama [the suicide attack in Kashmir] happened I felt that Mr Modi’s government used that to build this war hysteria,” said Mr Khan, holding prayer beads in his left hand. "The Indian public should realise that this is all for winning the elections. It’s nothing to do with the real issues of the subcontinent." The first phase of the vote will be held on April 11. Following the eruption of hostilities last month - the most serious military conflict between the two neighbors in nearly fifty years - world powers scrambled to try and mediate. But with India eager to establish itself as a global power, pleas for peace might just fall on deaf ears. 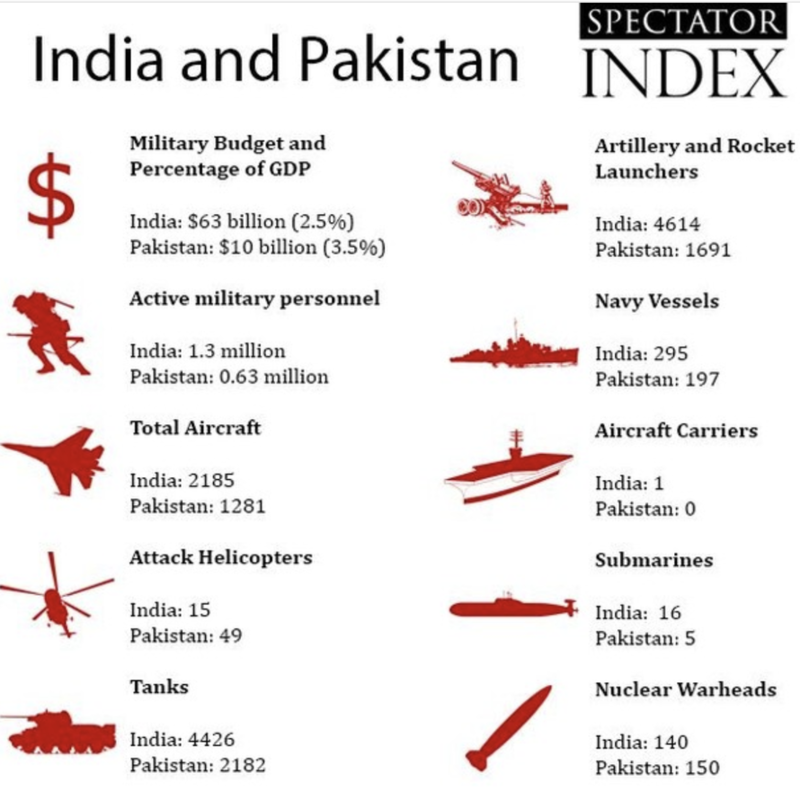 When it comes to conventional weapons firepower, India has a massive advantage over Pakistan. But Pakistan has said it wouldn't hesitate to use tactical nuclear weapons if Indian tanks roll over the line of control.